Vitamin B12 (cobalamin) plays a central role for the nervous system and the creation of DNA and RNA in every cell of our body, other than helping cells to absorb proteins, fats and carbohydrates in the right proportions. But despite the fact that Vitamin B12 is necessary for the body to optimize a whole series of processes – from the humor to the digestion – not everyone knows its importance or can recognize the symptoms of deficiencies. Here we will explain where you can get this vitamin and which are the risks of those who don’t take enough vitamin B12. There is no bigger concern than the one related to this Vitamin for those approaching a vegan and vegetarian world for the first time. Like the Barber of Seville, everyone asks for it and wants it, but is it really so indispensable and unobtainable for you, deciding to not take animal products anymore? Let’s see closely how things really are. Vitamin B12 is not synthesized by animals or plants, but just by some micro-organisms, so its content in products of animal or vegetable origin depends exclusively by the way animals or plants can conserve it. The first are particularly successful, which is why vitamin B12 is mainly present in products of animal origin: meat, eggs, poultry, cheese, fish and seafood. 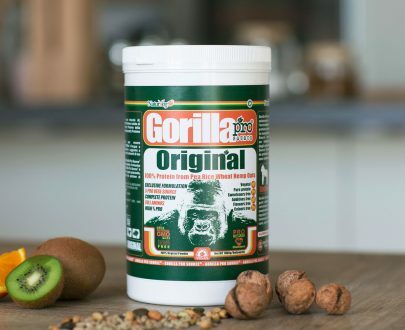 Even in some plants for human use, important traces of Vitamin B12 have been found, especially in algae such as chlorella and spirulina, but for those who follow a vegan diet is recommended to use supplements to avoid any serious deficiencies that may occur over the years. In addition to these symptoms, are associated even more serious ones, such as anemia and damage to the nervous system. Vitamin B12 in the vegan diet: what to do? For those who follow a vegan diet the only reliable source of Vitamin B12 are foods with the addition of B12, an example are some beverages based on vegetable milk on the market, or supplements containing B12. Thanks to these measures, many vegans are able to avoid the most serious problems, such as anemia or damage to the nervous system. 3. Take once a week a supplement containing Vitamin B12 capable of providing at least 2000 micrograms of B12. To comply to these measures, just check the label of each product to know how many micrograms of Vitamin B12 contains and take the daily combination of food and supplements that can provide you the right amount of it. Less frequently you take the B12 and more of it you’ll need to take, as this vitamin is absorbed only in small quantities. The best choice is to combine different nutritional sources in a balanced diet to stay healthy. The symptoms of a Vitamin B12 deficiency can usually take more than five years to manifest in an adult, although there are rare cases in which some problems may arise in a year. Unfortunately, the Vitamin B12 is the only vitamin believed to not be reliably obtained from plant foods. Herbivorous mammals, for example, are able to absorb Vitamin B12 simply because it is produced by some bacteria directly in their digestive system. 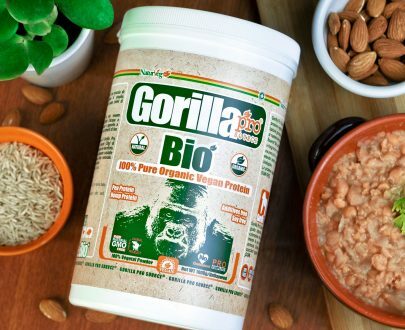 For a long time, the importance of Vitamin B12 for the human body has been underestimated, while it was a thought that foods such as spirulina, nori, tempeh and barley grass could represent valid plant substitutes to extract this vitamin. However, during the scientific experiments on the vegan diet, it was shown that only foods fortified with Vitamin B12 and Vitamin B12 supplements could represent a safe and optimal source for health. What is right amount of Vitamin B12 to take every day? Generally, the scientific recommendations suggest that an adult should be taking from 2.4 to 3μg of Vitamin B12 per day. While the percentage for pregnant women is around 2.8μg. These recommendations come from the assumption that the absorption of the ingested Vitamin B12 occurs at about 50%. Therefore, the actual absorption of Vitamin B12 for those who follow these indications will be around 1.5 micrograms on average. 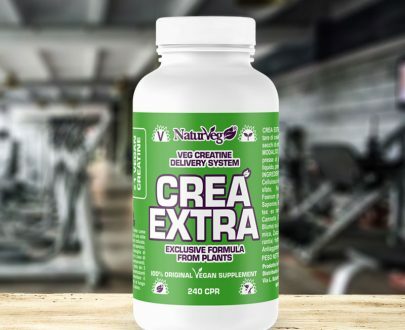 This amount is sufficient to ward off Vitamin B12 deficiencies, as well as non-conforming levels of homocysteine ​​and methimalonic acid (MMA), in most people. Reaching the right amount of Vitamin B12 is simple. Just consume supplemented foods or supplements with Vitamin B12 in order to take 1 microgram of B12 three times a day. Most vegans take sufficient Vitamin B12 to avoid dangerous deficiencies. On the other hand, two subgroups are particularly at risk of vitamin B12 deficiencies: vegans who have been taking supplemented foods for a long time and infants who breast milk from mothers with low levels of Vitamin B12. In adults, typical symptoms of deficiency include low levels of energy, itching, numbness, reduced sensitivity to pain or pressure, blurred vision, walking problems, poor memory, hallucinations and personality changes. Often these symptoms develop gradually over several months and are not immediately attributed to Vitamin B12 deficiency. Children are more vulnerable and usually the symptoms in their case occur more suddenly than adults. Vitamin B12 deficiency can lead to a decrease in energy and appetite levels, as well as affecting growth. An analysis to measure the level of Vitamin B12 in the blood could mislead vegans that include in their diet algae or other plants that contain similarities to Vitamin B12. The most reliable blood test is the one that evaluates homocysteine ​​levels, whose normal values ​​are less than 10 micromoles / liter. On the other hand, the most speicific test is the one that verifies the methimalonic acid (MMA). What are the vegan alternatives to supplemented foods and supplements with the Vitamin B12? If for some reason you decide not to use supplemented foods or supplements with Vitamin B12 in your vegan diet then be aware of the high risk level you are facing with this choice. Risk that would be even higher in case of pregnancy. This is why it is always advisable to monitor annually your Vitamin B12 levels to prevent this serious deficiency. Furthermore, Vitamin B12 may not be necessarily taken in simple supplements. 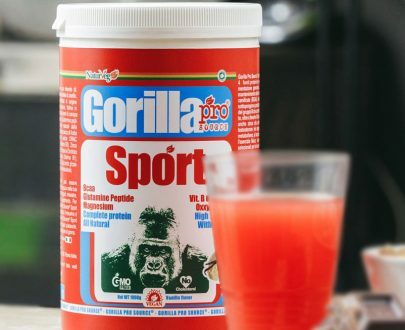 We at Naturveg, for example, have included it in our Gorilla Pink along with other important B Group Vitamins and plant proteins, to give you the chance to taste your daily dose of energy and well-being. Vitamin B12 is often questioned as clear proof of the man’s inability to not include foods of animal origin in his diet. Whenever the public opinion spotlight focuses on a chronicle case or “fake news” linked to the vegan world, there is always the same main character: Vitamin B12. Despite a very interesting fact: vegans who follow a balanced diet including supplemented foods or supplements in their diet have even better levels of Vitamin B12 than a regular meat consumer. That’s why taking Vitamin B12 in the vegan diet is important for two very simple reasons. On one hand, to avoid having deficiencies whose consequences are anything but pleasant. On the other, to demonstrate once again the full sustainability of a diet based exclusively on plant foods.